Grew up with Radnicki Belgrade (Serbia) juniors. Signed for the 2001-02 season by Smederevo, in the Yugoslav 2nd division. 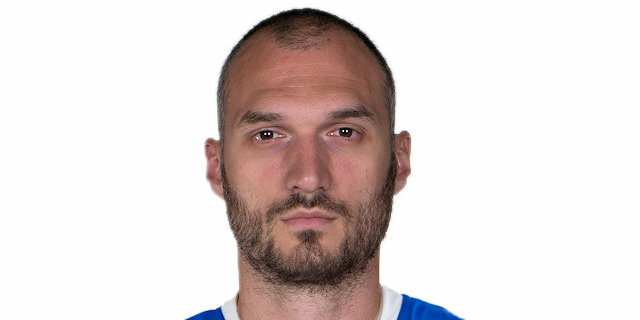 Signed for the 2002-03 season by Radnicki Belgrade. Signed for the 2003-04 season by Lavovi 063 Belgrade. Signed for the 2005-06 season by Egronom Nis. Moved to Germany for the 2011-12 season, signed by Alba Berlin Basketball Team. Back to Serbia for the 2012-13 season, signed by Crvena Zvezda Belgrade. Moved to France for the 2014-15 season, signed by EB Pau-Orthez. Back to Serbia for the 2015-16 season, signed by Crvena Zvezda Belgrade. Won the 2008-09, 2009-10 and 2010-11 Montenegrin National Championship with BC Buducnost. Won the 2009, 2010 and 2011 Montenegrin National Cup with BC Buducnost. Won the 2013, 2014 and 2017 Serbian National Cup with Crvena Zvezda Belgrade. Won the bronze medal at the 2007 World University Games.